New conger eels specialty restaurant opened. 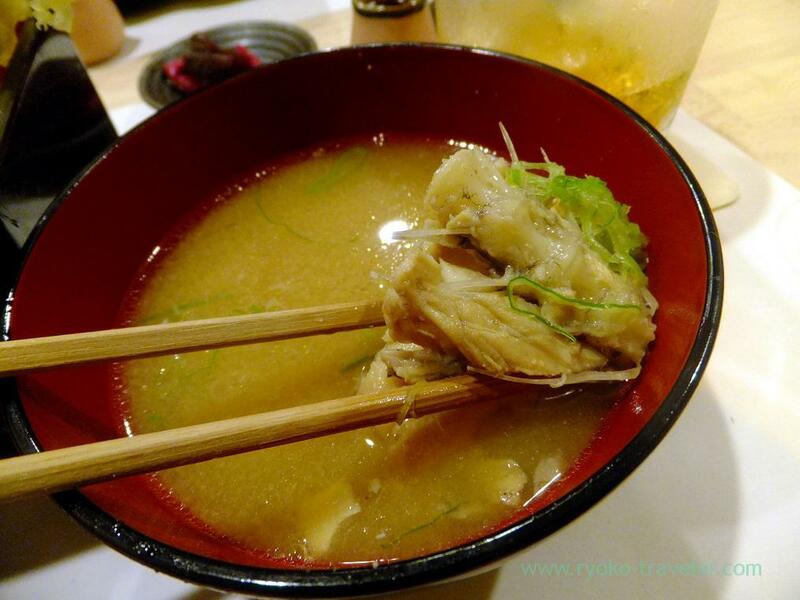 Recently new eateries, restaurants and cafes opened at Tsukiji Outer Market. 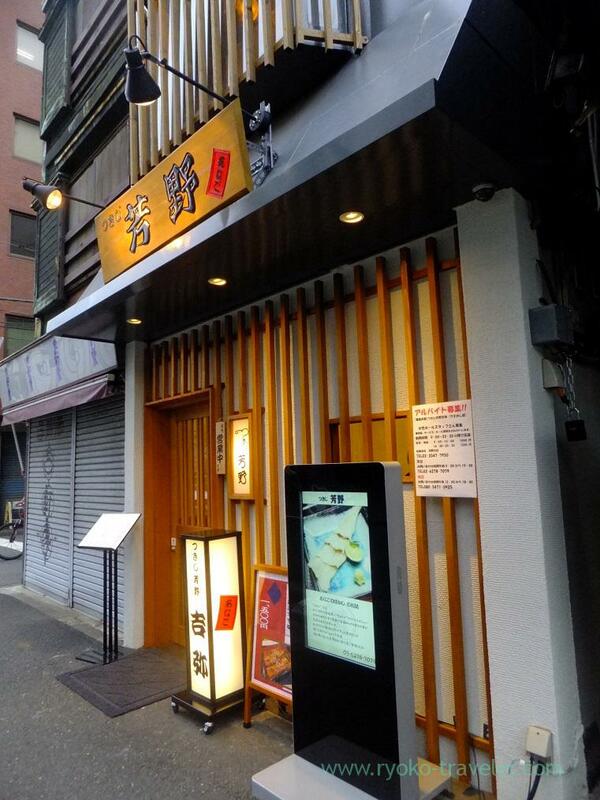 One of those shops, Kichiya is conger eels specialty restaurant. 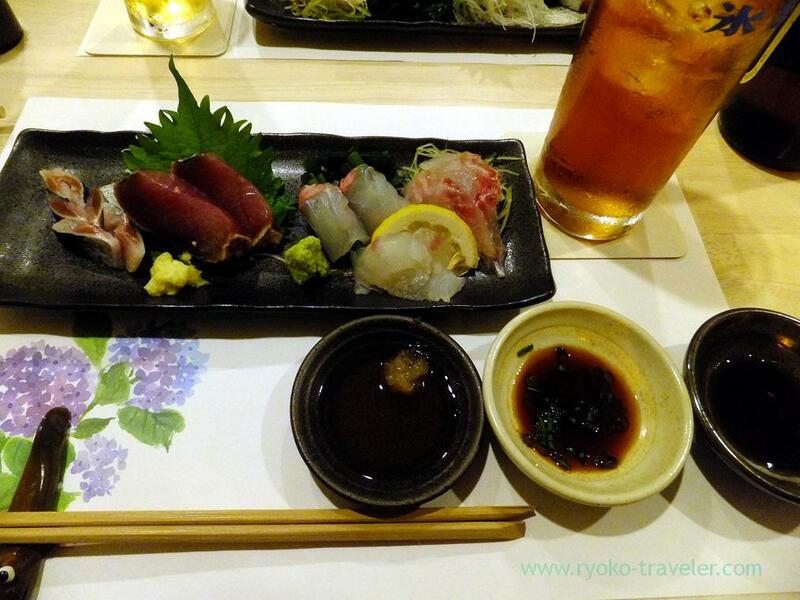 Kichiya is a branch of the popular eatery that is named Yoshino in Tsukiji Outer Market. I went to Yoshino once a long time ago. Wow, very new. Kichiya stand in front of the entrance of Tsukiji Market. My friend is a regular customer, so we left everything to him. He ordered a special course. Appetizer was Tuna salad (ツナサラダ). 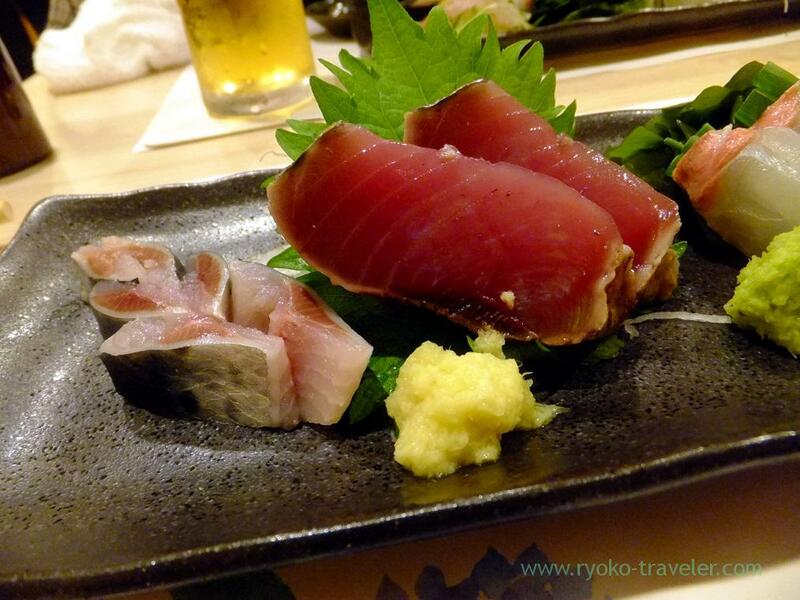 Of course, here was Tsukiji. The tuna was not canned ! My drink was oolong tea. From left, sardines and bonito. Light is grunt, left is flatfish. And flathead is this side. Almost all dishes that I had had conger eels ! Conger eel, sea bream, eggplant, flatfish, mantis shrimps, and so on. Amazing taste. Those were crispy. 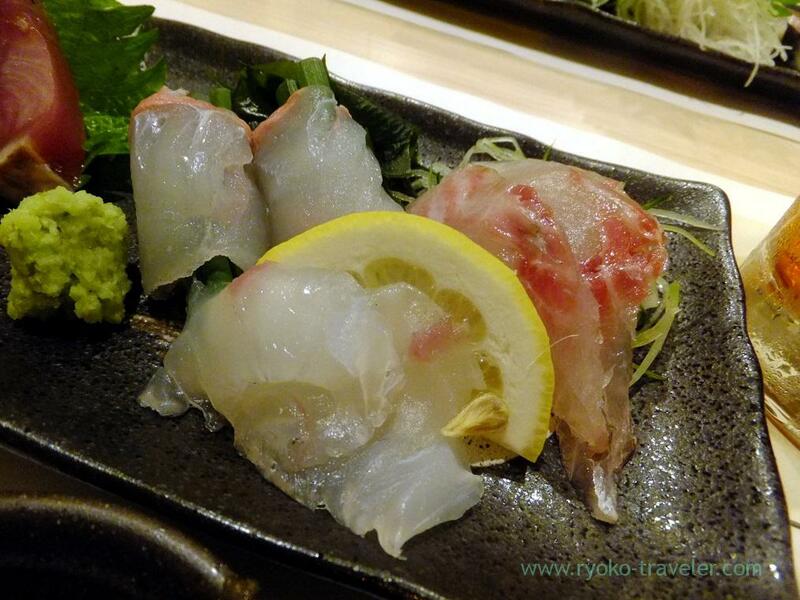 Especially conger eel and mantis shrimps were excellent ! 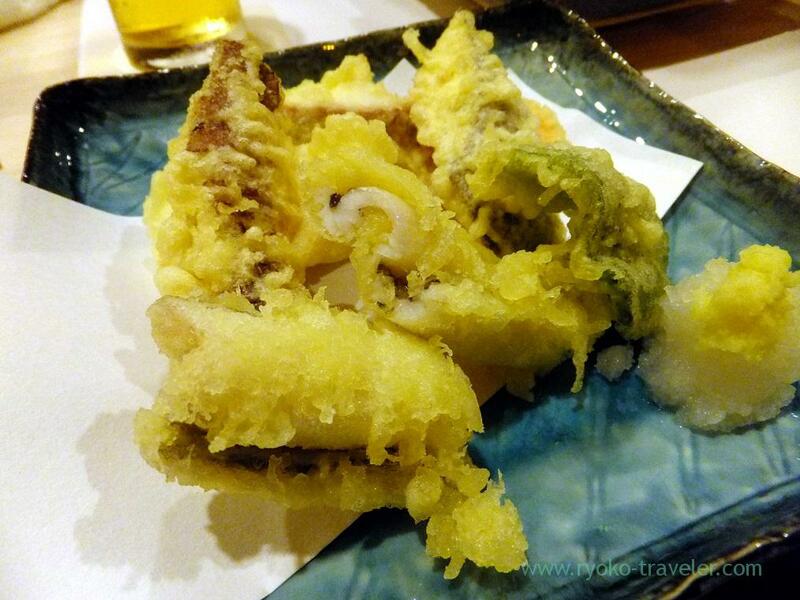 I liked those tempura in all dishes that I had then. 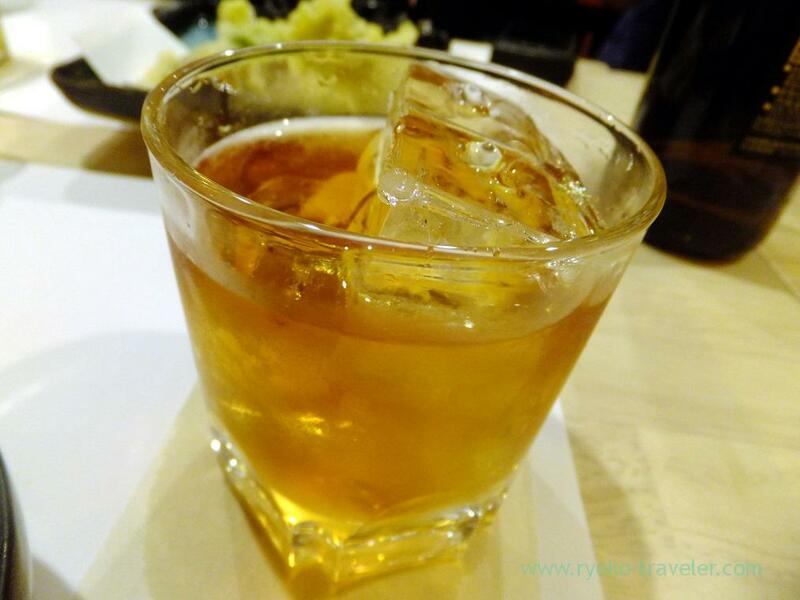 After finished drinking oolong tea, I felt like drinking something sweet. 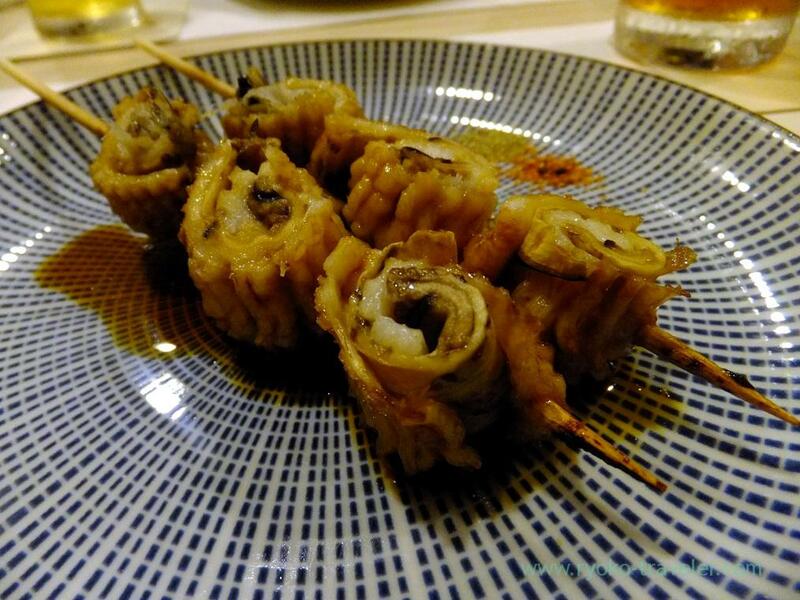 Conger eel and eggplant rolls (穴子と茄子のぐるぐる巻き). 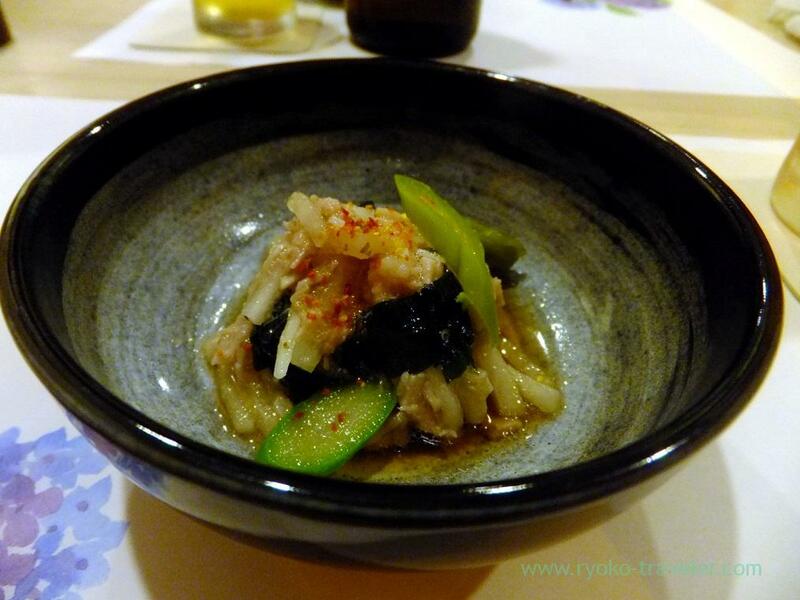 We eat it with Zanthoxylum piperitum and shichimi. It looked chewy ? No, it was spongy texture. 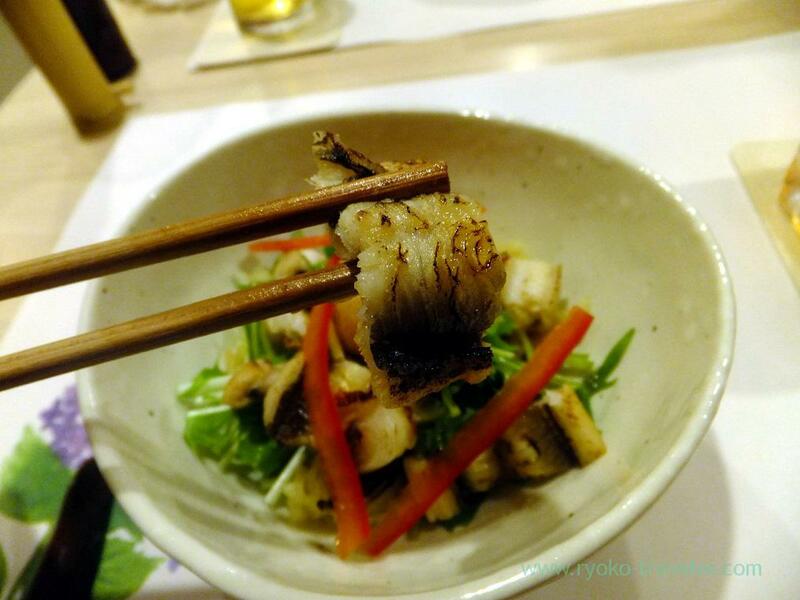 Also salads (サラダ) had conger eels ! Last, we could choice one meal from some meal menus. I wanted to eat conger eel tempura again, so I choiced this. 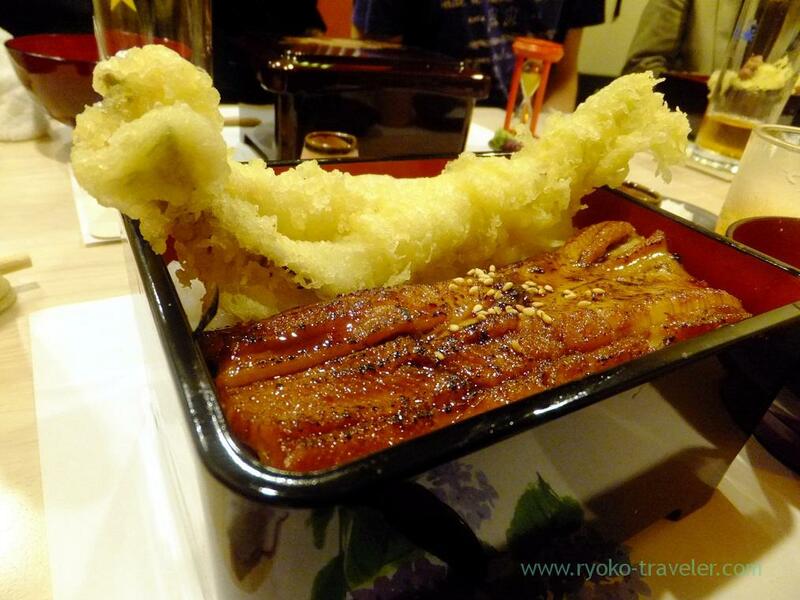 Baked conger eel and conger eel tempura on the rice. Can you see a sand-grass and closed box in front of me ? He was waiting for one minute. 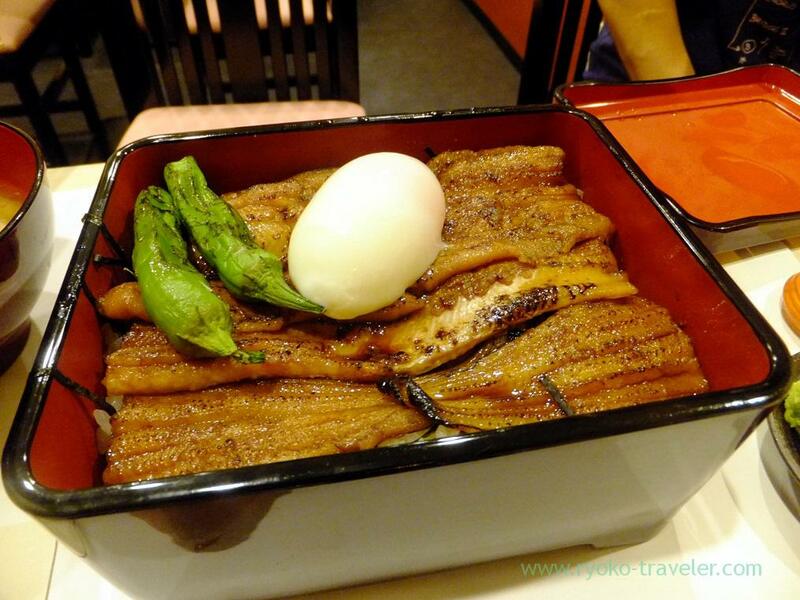 His conger eel was steamed sufficiency in the closed box. Here, his conger eels looked so soft. 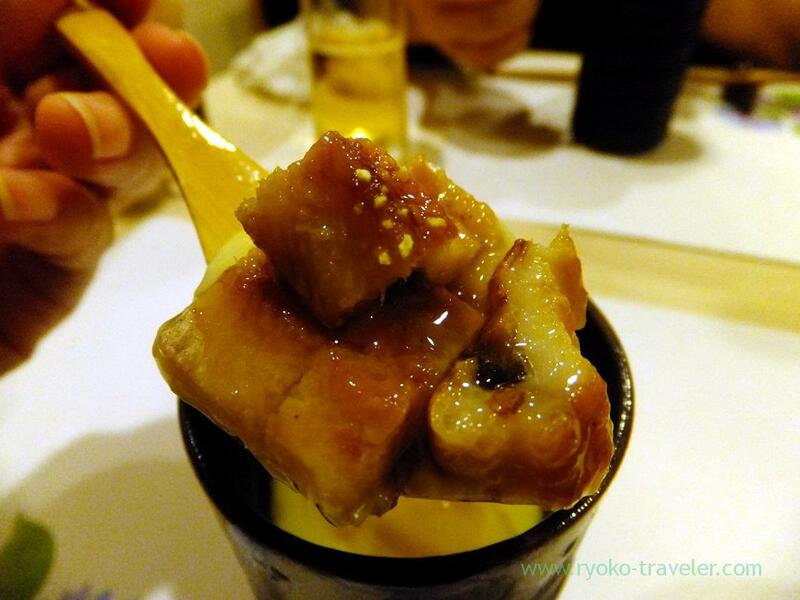 Baka-duki (ばか月). 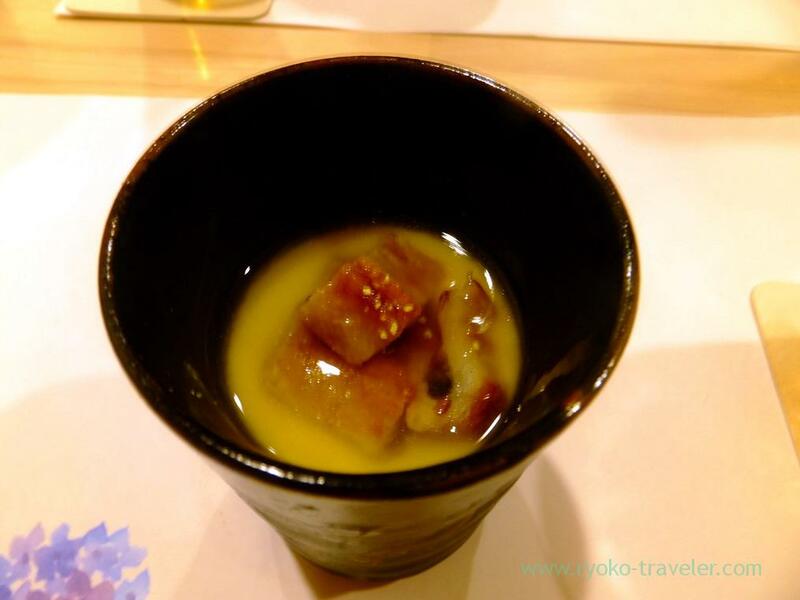 Miso soup with bony parts of a fish (あら汁). Dessert. 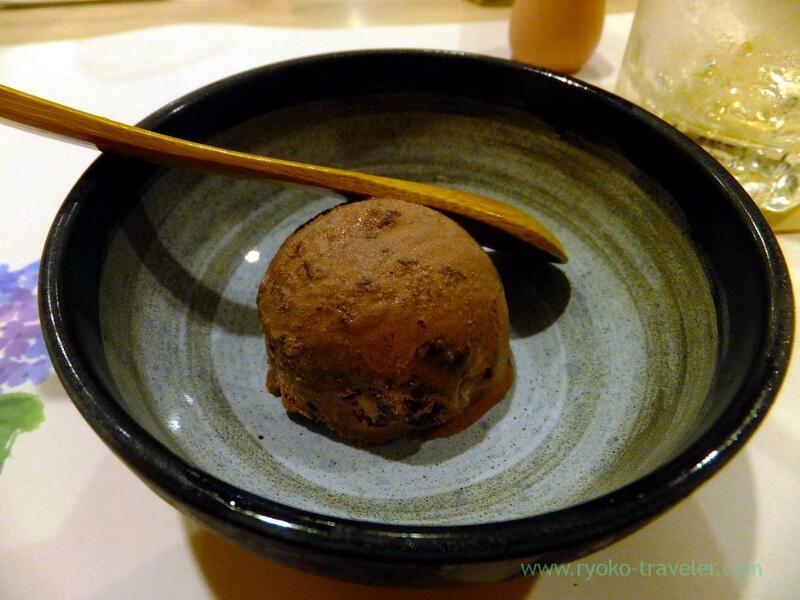 We could select one from chocolate ice cream and yuzu sorbet. I chose chocolate ice cream (チョコレートアイス). Thanks for your nominating me. But I’ll took much time to do it:p I’ll try it later. It seems fun!